Where your pets will be treated like kings and queens! Welome to 2019! 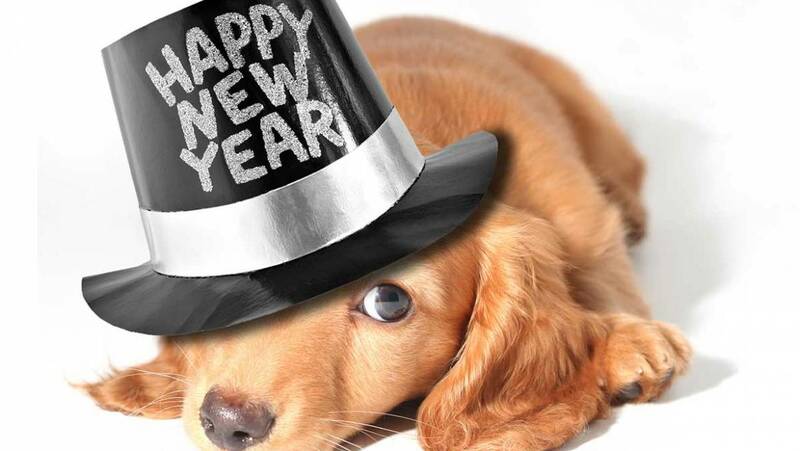 Check out some of these New Year’s resolutions for your best friend. #10 Measure Your Pet’s Food – Every Time! Many owners “eyeball” their pet’s daily intake and pour that into a bowl, usually resulting in overfeeding and weight gain. It’s important to use an 8-ounce measuring cup to ensure your pet isn’t taking in more calories than they need. The recommended feeding guidelines on the bag is a good place to start to figure out how much food they really need. Older pets and those who have been neutered usually have lower energy needs than young, intact animals. Growing pets have very specific nutrient requirements to ensure their bodies grow healthy and strong. For example, some senior pets may have lower energy requirements, but have other medical issues like a degenerative joint disease that may be helped with the appropriate diet. Choosing a diet specifically tailored to your pet’s life stage is a great way to keep them in optimal health. From doga to hiking, skijoring to kayaking, it’s easier than ever for people to incorporate their pet into a new exercise routine. It’s a great way to bond, it’ll get you both out of the house, and both owner and pet will reap the rewards of a healthy physical activity. Meet-up groups are a great way to find like-minded pet owners to join you in your exercise, too! Cats love the thrill of chasing a laser toy; just don’t tell them it’s exercise! Toys that trigger a cat’s predatory instinct are a great way to get them off the couch and engaged in a little aerobic activity. Experiment to see what really gets your cat going — in addition to lasers, catnip toys, crinkly balls, and climbable cat trees are perennial feline favorites. Even a cardboard box can become a cat cave that satisfies a cat’s desire for a hiding place. Yearly examinations by the veterinarian are a key component of good preventive care. Many medical conditions such as diabetes, arthritis, or obesity are common in aging pets and much easier to manage when detected in the early stages of the disease process. Veterinary visits are also the perfect time to ask for advice, update your pet’s food, or get an expert opinion on any behavioral issues that may be affecting your bonding with your pet. Brushing your pet serves many purposes. It removes excess fur from the coat, reducing the amount you find on your clothes and furniture. It helps distribute oils from the skin to the fur, keeping the coat shiny and healthy. Lastly, daily grooming is a bonding activity that demonstrates to your pet how much you love them by taking care of them in a very soothing manner. Daily tooth brushing is the best way to keep tartar and plaque at bay — just be sure to use a toothpaste meant for dogs and cats. Water additives, dental diets, and treats designed to reduce tartar can also be a helpful tool in keeping teeth clean. And even with all of these tricks, regular cleanings by a licensed veterinarian are the best way to keep those pearly whites in tip-top shape long into your pet’s senior years. Studies show that mental stimulation can help reduce cognitive deterioration in aging animals. In other words, keeping your senior pet’s brain active can actually make it healthier! Teaching your pet new tricks and practicing those they already know is a great way to keep those neurons firing. Puzzle feeders, which force a pet to think through a task in order to be rewarded with a treat, are also an excellent way to keep a pet’s mind engaged. Over the course of a year, a lot can change — people move, get new phone numbers, and forget to update their pet’s tags. Often they only remember once the pet is lost. 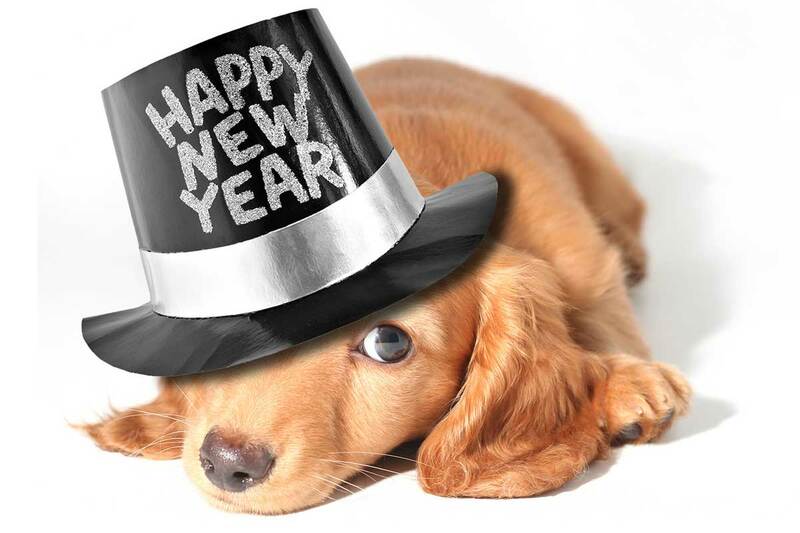 If any of your contact information has changed in 2012, don’t wait — update their tags and microchip information today! It’s the best way to ensure a lost pet makes their way safely home. You think you want a new pet, but you’re not 100 percent sure it’s right for you? Try fostering. Many animal shelters and rescues need loving homes to provide safe and temporary living arrangements for pets. It’s the perfect way to test the waters of pet ownership without the lifelong commitment since you are simply hosting a pet while they wait for their forever home. Who knows? That home just might end up being yours. We provide exceptional customer service. Our pr ofessional team ensures you our guests will receive the best pet care possible!